Does the so-called Russian Mafia constitute genuine "organized crime"? This is more than an esoteric question. It involves an understanding of what has happened in organized crime in the last decade or so. Is the Russian Mafia really a threat to the American Mafia? Or is it a prop that has aided the traditional Mafia to make a strong comeback, which has become more apparent in the beginning of the 21st century? In the 1990s it was clear that the Department of Justice, while proclaiming its triumphs over the Mafia at the time, had no interest in pursuing this "other Mafia." As the Washington Post reported, "... since the Justice Department does not consider the Russian mob to be organized crime, it doesn't treat it with the seriousness that it reserves for more VIP criminals." It was noted neither the FBI nor the New York City police was doing much about the Russian "Mafia." The New York Times declared the Russians were not a major enforcement problem since they were tiny in size. In the assessment of the Russian Mafia in the early 1990s it was found that the findings of the Immigration and Naturalization Service consisted of little more than material taken from the Times. Less knowledgeable investigators have insisted that the Russians perpetrate many of the crimes practiced by mafiosi, going so far as attributing the word Malina as the Russian term for "Mafia." Actually, however, Malina is used by Odessa criminals both in Russia and in the United States as a generic term for the underworld; it literally means "raspberry." It is very difficult for law enforcement to get a handle on Russian crime groups because they are disparate in numbers and loyalties. 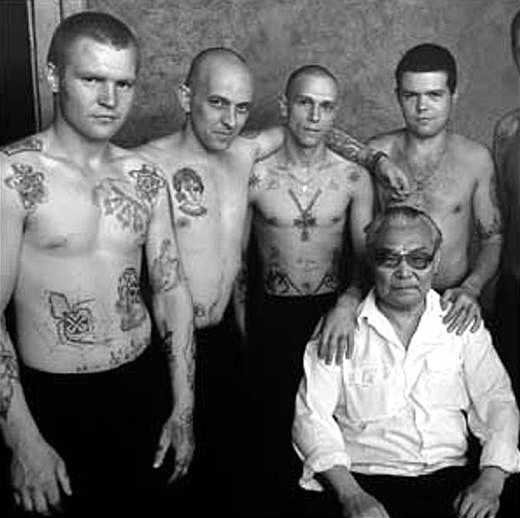 The government has not been able to put a number on the gang members, and even the name of "Russian Mafia" is somewhat of a misnomer, since a great number of the criminals are of Soviet-Jewish background. Many members are in this country legally as political refugees, but it is known that within this group are considerable numbers of Soviet criminals who are not Jewish at all but had acquired their identities from dead or incarcerated Jews in the Soviet Union. Some, it has been alleged, further launder their identities by first immigrating to Israel before moving onto the United States. Still others are suspected to have been long time "sleepers" planted in the United States with fake identities by the KGB. Left on their own with the fall of the Soviet Union, these former agents gravitated toward the crime groups. Most criminal groups come from various geographical locations, such as the Odessa Gang—historically the most violent of criminals in the country—the Kiev Gang, the Moscow Gang, the Leningrad Gang and smaller scattered groups called "gypsy gangs." From time to time some of these groups have attempted to unite or at least cooperate with one another, but such arrangements are very fluid and are marked by such great treachery in the divisions of spoils that they simply degenerate into warfare far greater than that seen in the American Mafia in its brutal organizing years. The various Russian Mafia groups have tried to move into such areas as Philadelphia, Los Angeles, and as far away as Toronto, Canada. They may pull singularly brutal crimes but operate without any trust within their own ranks and with corrupt elements on the outside. Thus the Russian Mafia apparently will never achieve full maturity but will operate simply as junior partners with various mafiosi who at the turn of the century were demonstrating that their power has ceased to diminish. Rather, they frighten the Russian Mafia and other ethnic groups into subservience to the elements who still control within the American power structure.